Posted on June 5th, 2018. Corfu, the most northern of the Ionian islands, is a 230 sq mile destination with numerous spectacular beaches that has charmed travellers for centuries. Closer to Albania than to mainland Greece, it is an island that has absorbed the traditions, cuisine and architecture of its many occupiers while retaining its Greek-ness. Today, the myriad influences of its past and present are revealed to travellers in a stylish and intriguing package. Corfu, a jewel of many dazzling facets, awaits you! I’ve travelled to this island many times and find something new and interesting to capture my interest with each visit. 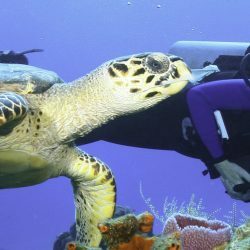 Here are a selection of activities that I consider some of the very best things to do in Corfu, Greece. Let’s dip a little into the history of the island to understand what it is that you will see when you contemplate what things to do in Corfu. Firstly, the Republic of Venice, a powerful and independent state, ruled over Corfu from the mid-13th to the late 18th Century. This rich and powerful state influenced not only the architecture but the cuisine of Corfu. Walking through the old town of the capital Corfu, with its narrow streets and tall balconied buildings creates a very Venetian feel to your experience. When you stop and sample one of the local dishes of Sofrito (sliced veal, cooked in vinegar with garlic and parsley) or Pastitsada, (a pasta and meat dish), the Italian influences are really obvious. This style of food, was for many centuries, exclusive to the ruling classes of the island with the local peasantry enjoying a mainly plant based diet with salt cod or limited amounts of meat on feast days. The departure of the Venetians and the subsequent democratisation of this island over the following centuries, brought all of these cooking styles together. The English who controlled Corfu for about 60 years, adding a footnote to all of this food legacy and gifted the Corfiot menu with the epitome of English culinary fireworks – ‘ye olde English pudding’! If you want to know the history of any country, look to its menu! So, the table is set, so to speak. Prepare for the whistle-stop tour of Corfu through the ages and walk in the footsteps of other nations as we take a look at the many Corfu points of interest. Corfu’s location just south of Albania, west of mainland Greece and east of the heel of Italy’s boot, has put it at a point of great geographical significance over the centuries. The various occupiers (friendly and otherwise) of this island have constructed and added to military fortifications over the ages. This resulted in the building of the Old Fort known to the Greeks as Paleo Frourio. This impressive structure protrudes out of the eastern point of Corfu town. The fort is separated from the town by a man-made moat called the Contrafossa over which a bridge is constructed for access. It is a wonderful site to ramble around and be amazed at the scale of the manmade edifices that ensured that this fort successfully repelled numerous assaults by invading forces. The Church of St George, once an Anglican church for British forces billeted on the island, now a Greek Orthodox church is a landmark in the Fort. It hosts only one service a year – on St George’s Day. In addition to this church, it is well worth making the hike to the top of the hill as you will get unsurpassed views over the town of Corfu and the bay. It’s not a very arduous climb but is a must see Corfu view – your Instagram feed with be thrilled with the photos! The name is rather deceptive, as this Fort’s main perimeter walls were built by the Venetians a few hundred years ago while the buildings that occupy the space inside the walls are a legacy of the English rule dating back over a hundred years ago. It’s another interesting place to visit but do some research before you go as there is little or no information on site about its history. Again a little hike to the top of the hill will give you another spectacular view over the old Town. I really enjoyed the stroll around these forts not least that it afforded a break away from the busyness of Corfu Town in high season. The forts are quite different but the views equally great. Make it a day out to visit both with a leisurely lunch in between. You won’t be sorry. With so many sparkling beaches around Corfu’s tranquil coastline, it would be difficult to single one out as being better than the other. Except, of course, there is Canal D’Amour. There is nothing I’ve ever seen quite like this incredible location. It is certainly one of the top things to do in Corfu to visit the Canal D’Amour and surrounding cliffs. Who knew that geology could be so romantic! When Mother Nature decides to dazzle, she can create natural wonders that appeal to our senses. I had been told about these clay cliffs that have been shaped over time by the wind and sea. Even the photographs I saw had me believe that it wouldn’t wow me when I stood on the path looking across the coastline. Well, I was wrong. The golden colours against the green/blue clear waters are beautiful. It reminds me of that satisfying feeling you get when you watch a master potter create curves and grooves in malleable clay. It’s as if some skilled hands have curved these lovely cliffs and has created such a pleasing finish. The legend that accompanies this part of the island known as Sidari that lies 22 miles north of Corfu town is that if two people swim in the Canal D’Amour they will fall in love. So, any budding romantics out there, feel free to test the principle. 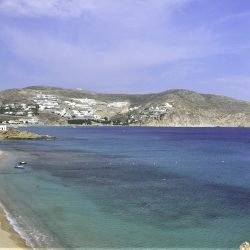 With a few paths down to pretty coves, there is wonderful clear water for swimming or snorkelling. You may not fall in love with each other but you will certainly have a monumental crush on this unique Corfu tourist attraction. A mere 8 miles south of Corfu town lies the pretty village of Gastouri. This village is the home of one of the most popular places to visit in Corfu, Greece. The Achilleion Palace. This neo-classical building, sitting in mature and lush gardens, was commissioned in 1890 by Elizabeth of Bavaria, Empress of Austria. 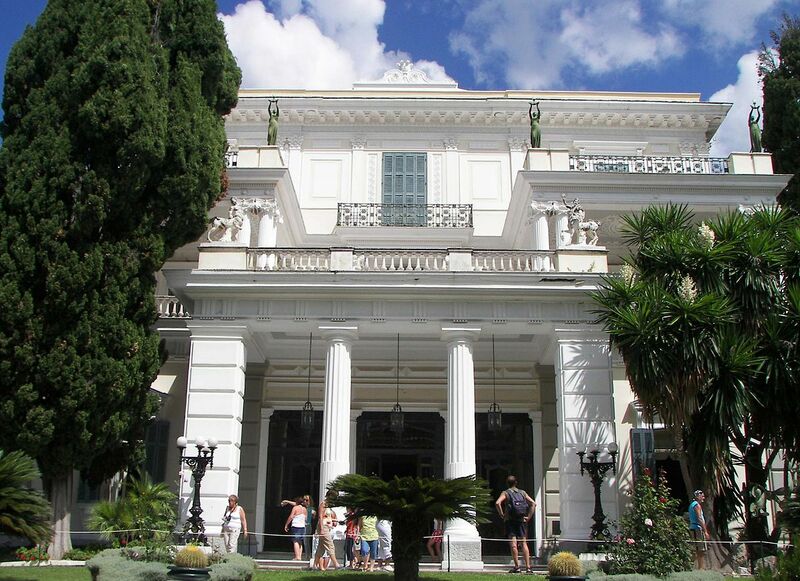 After a lifetime of fascination with Corfu and Greek culture, the Empress built this imposing palace as a summer residence. After the tragic death of her only son, she sought solace in this peaceful and restorative place. The tragic statue of the dying Achilles, who gives his name to this Palace, commands a place of significance in the grounds. Is it perhaps an epitaph to her lost son – the fallen god? Regardless of history, a wander through this Palace museum and its grounds is a lovely experience. The lush gardens, the artworks, the views – everything conspires to charm you. It is always busy but do try to get there early before the masses. It is magnificent. Living in a remote outpost in the North Atlantic, in a small island nation that has seen its share of troubles, I am always fascinated by other such islands that by their very geographical location, have been a battleground for opposing nations for centuries. Corfu has the unhappy position of sitting on an invisible boundary line between Eastern and Western Europe. 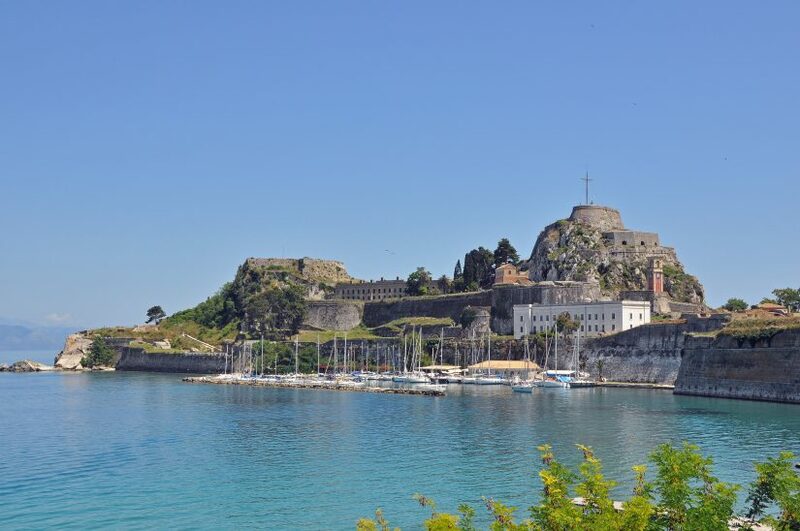 The fortifications and castles that dominate the skyline of Corfu town remind visitors that military control of this island in the preceding centuries, was essential for regimes wishing to control this corner of the Mediterranean. The most poignant story from Corfu’s Great War tells of how a broken Serbian army fleeing from the collapse of the Eastern Front sought refuge on Corfu. In 1915, with Allied supplies curtailed a great number of these soldiers died in make-shift hospitals and encampments on the small island of Vido that lies just off the city of Corfu. Lacking the necessary ground to bury these poor souls, it was arranged for the men to be buried at sea. At least 5,000 soldiers were laid to rest beneath the seas off Vido. As one of the places to go in Corfu, Vido is certainly a worthy trip. It is a very short trip by boat out of the port in Corfu. The views of the City as you cross the small stretch of water are wonderful. The Serbian mausoleum is impressive and for anyone interest in WWI history it is a seldom-told story of one of the tragedies of the Eastern Front. The island is small with one café that charges prices appropriate to an establishment that has a captive audience. The boat trip and island visit can be wrapped up in a couple of hours. A very meaningful way to spend a morning on Corfu. Greece is a mass of islands. You get to Corfu and say, “I am on an island”. Then you look closely at a map and see groups of islands that are satellites of Corfu itself. It is islands within islands within islands! 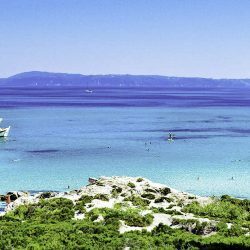 The three most unspoiled are located off the northwest coast of Corfu – Othonoi, Erreikousa and Mathraki – known as the Diapontian Islands. The small port of Agios Stefanos, at Corfu’s most westerly point, is the jumping off spot for these islands. 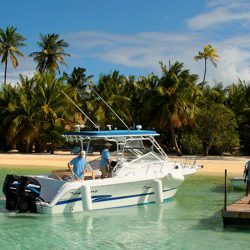 There are a series of boat trips that allow day trippers to pop over to these tiny islands. With a total population of less than 2000 inhabitants and limited tourism, this is a great day out if you want to see traditional Corfu culture, meet warm and welcoming locals and eat food that captures the true taste of the simple Greek life. Check the timetables to work out what days the boat services run. There are boat trips to these islands from the port in Corfu town but they take hours as they stop at a number of places on the way. If you are staying in the north-western side of Corfu, visit Agios Stefanos it can be a refreshing day out. Easter in Corfu – Smashing! It’s impossible to visit any of the major Mediterranean countries at Easter and not be swept up in the very traditional and solemn processions and traditions. As a rule, it is best advised to have the fridge of your Greek villa well stocked at Easter time as so many shops and supermarkets go into hibernation to honour the most important festival on the Christian calendar. Corfu is no exception but in one point it is really most unique and that is the tradition of smashing earthen ware pots onto the streets on Easter Sunday. Once the Mass to celebrate the resurrection concludes and the church bells chime to announce this fact, the smashing starts. The noise of these large jars being dropped to the pavements – sometimes filled with water to ensure a noisier and messier impact, seems so anarchic to our conventional way of living. 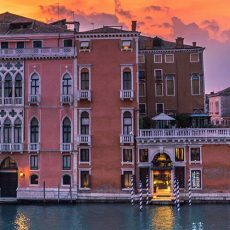 It is believed the custom derives from an old Venetian habit of throwing ones old goods out of the windows at New Year to encourage the universe to send replacement. Whatever the history, it is the sort of fun event that children (and the child within us) finds so madcap. If you get to Corfu during Easter break, you are in for a ‘smashing’ time! A Monastery – with Planes! On the tip of the Kanoni peninsula, south of Corfu’s main town lies a tiny island that is occupied in its entirety by the Vlacherna Monastery. It is one of the most photographed landmarks in Corfu. 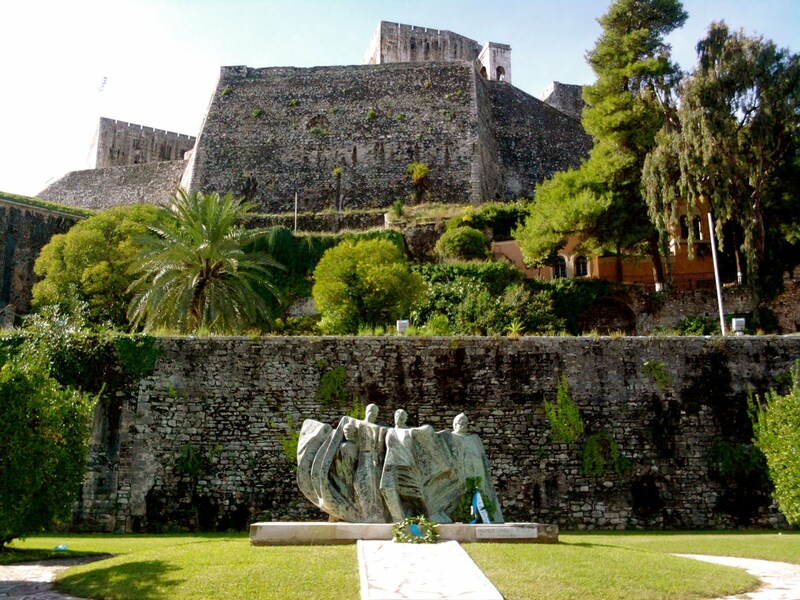 The dazzling white structure, built at the end of the 17th century, operated as a nunnery but is now one of the best places to visit in Corfu for a rather different experience. Accessible to tourists all year round, it is reached on foot by a long jetty from the main island. This tiny little site has a pretty church where the gentle silence of past inhabitants seems to cast a stillness over the busy visitors. The most remarkable part of this visit is the arrival of aircraft to Corfu Airport that is adjacent to this holy site. The planes seem to skim over one’s head. For plane spotters, it has to be one of the most picturesque locations ever to check out some Boeing hardware. It is exhilarating to see these planes at such close range. Prepare to be amazed! I simply love the old town of Corfu. It may be a bit of a tourist mecca but the bustle of life in the labyrinthine narrow streets, the shops and cafes along with the structural beauty of the Spianada make it the perfect place to drift around with no agenda except to soak up the atmosphere. The Spianada as the locals call the esplanade, is the largest square in Greece and sits just in front of the Old Fortress in the old town. This beautiful park and square is the legacy of the French’s fleeting hold over the island during the Napoleonic Wars. With numerous restaurants and cafes, you can choose a shaded perch and watch the tourist groups float past, this is one of the key things to do in Corfu. On the western shore of Corfu, near to the village of Palaiokastritsa lies the Byzantine fortification known as Angelokastro Castle. This site, perched at the top of a sheer cliff, was rescued from ruin by the Greeks and opened to the public in 2009. For a couple of euros, you can enter the site, enjoy spectacular views over the island and see years of Corfu heritage in the structures and remnants of buildings that remain in this imposing location. I thought the tiny little chapel dedicated to St Kyriaki was amazing. Carved out of the rocks, you enter into a cool and still interior. There is a lovely painting – one of a Madonna and child – adorning a wall. It is a special place. Be prepared for a substantial hike to the Castle. Wear suitable footwear and clothing for the trip. The Corfu tourist office wasn’t wrong: It’s really worth the hike. This is the briefest overviews of key points of interest in Corfu. The wealth of beautiful beaches, unspoiled views across the sea, all wrapped up in a languid way of life – the island has all of this and more. It is a diverse and magical land. It is a beloved destination of tourists who, once they have visited, return again and again. I am one of them! If you are looking at interesting things to do in Greece, Corfu should be very close to the top of your wish list. It marries all that is great about the Mediterranean – architecture, food, style. The Greeks know how to welcome their visitors. They have withstood the winds of change for centuries and have endured. The Corfu natives represent all that is best in Greece.